Antipodes Merino Review | Then there were three..
A few months ago I was very kindly sent an Antipodes Merino sleeping bag for Florrie; instantly I fell in love with it. The sleeping bag is made from Merino wool which I never really knew much about. On first impressions, I thought how thin the sleeping bag was and surely there was no way that it would keep Florrie warm enough. But, that is the beauty of Merino wool! Merino wool is temperature regulating - when it is cold, Merino traps warm air next to the skin and when it is hot it releases heat and moisture, making sure that your little one is comfortable. Merino wool is also perfect for sensitive skin, is hypoallergenic and naturally antibacterial due to the moisture handling properties along with its high levels of keratin and lanolin. 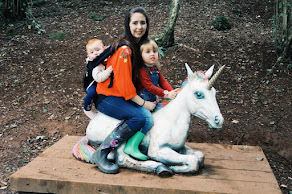 Although I must admit that the best bit for me is that the sleeping bag is suitable for your little ones up to the age of 24 months (height dependent of course!) which means you are definitely getting the most out of your money. I had to wait a little while before Florrie was able to use the sleeping bag as the recommended minimum weight is 11lbs. When she was finally big enough to start using it, the colder weather had hit us here in Wales so it was perfect timing. 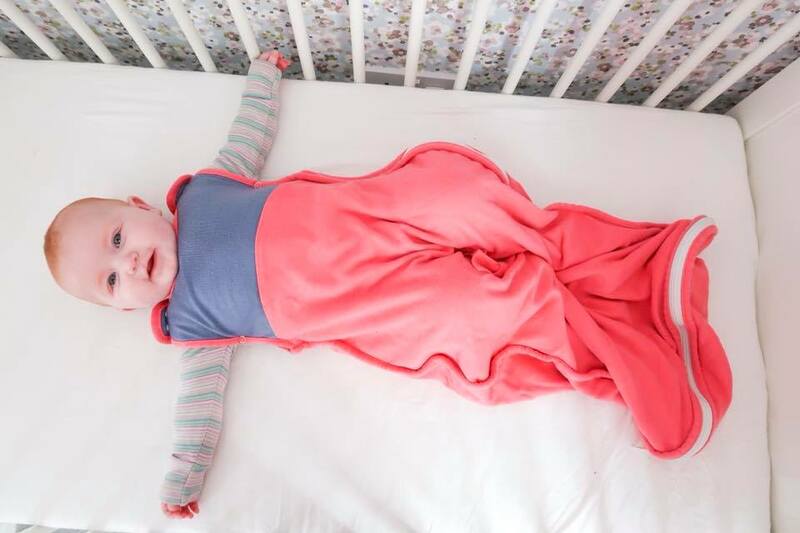 The sleeping bag has under arm poppers which are great for smaller babies; they make sure that your little one is secure and doesn't slip down into the sleeping bag which could cause their head to pass through the neck opening. A life changing feature of the Antipodes Merino sleeping bag is the seat belt slots; I'm not too sure if any other companies have this with their sleeping bags but it is a game changer. There is nothing worse than worrying about little ones overheating on a long drive or kicking their blanket out of the pram! 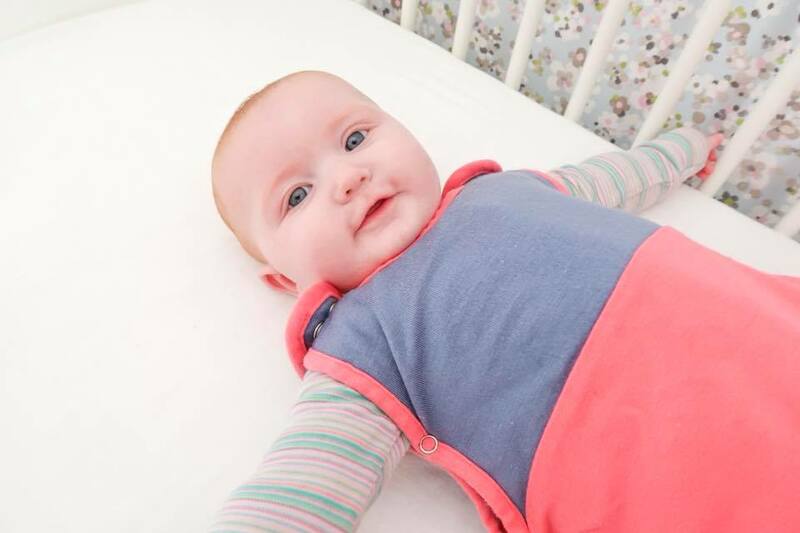 The sleeping bag has front and back seat belt slots perfectly designed to be used in car seats and prams; it also helps with transferring them to their cot should they fall asleep. Aoife always used to wake up when I tried to put her in her sleeping bag and would take ages to settle - at least Florrie doesn't have to worry about that now! After around three months now of testing it out, I can confirm that we are converted. I may have to invest in another one as Florrie's sleep is much more disturbed if it is in the wash and she isn't wearing it - so much so that she screamed her little head off when she was placed in a different sleeping bag a few weeks ago! When it comes to pricing, the sleeping bags are not cheap. However, considering that they should last the best part of two years and can be used all year round, they are definitely worth the price. Currently they are retailing from $74.99 via Antipodes website. Alternatively, they are also available on Amazon. *Disclaimer* I received the Antipodes Merino sleeping bag in exchange for an honest review. All thoughts and opinions are my own.